Extensive Interior refurbishment completed in July 2015; the luxurious cabin configuration features VVIP seating for 9 passengers and the rear cabin is a dedicated for private sleeping compartment with a full-size bed. The aircraft had a new paint and extensive Interior refurbishment completed in July 2015; the luxurious cabin configuration features VVIP seating for 9 passengers and the rear cabin is a dedicated for private sleeping compartment with a full-size bed. 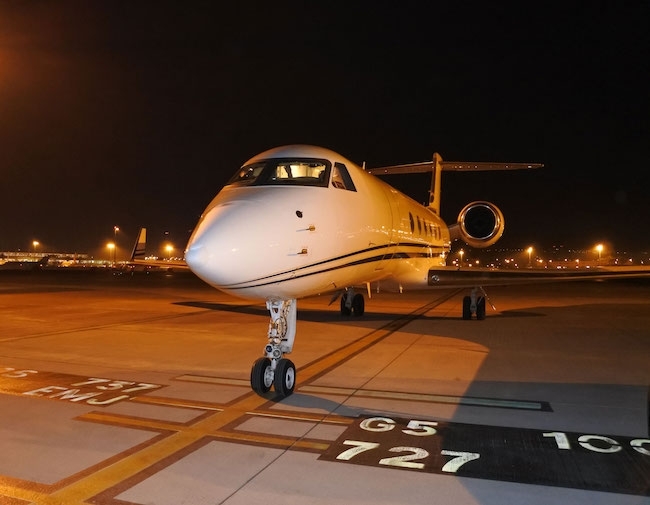 It is a Low-time Gulfstream GV, Compliant with FAA Part 91. Avionics and accessories are covered under the Honeywell programs and the engines are enrolled ROLLS ROYCE CORPORATE CARE.